A OTP (One time password) has been sent to your registered moile number. We at LoanAdda streamline the process of applying for loan against commercial property, residential property/plot by enabling you to compare between best loan against property (LAP)schemes, by teaming up with leading banks and NBFCs. LoanAdda offers loan amount up to 10cr for a tenure of 15-20 years at lowest loan against property interest rates. With LoanAdda avail the cheapest loan against property interest rate starting from 8.50%. Loan Against property (LAP) is a secured loan which you can avail by mortgaging your property. Banks and financial institutions provides mortgage Loan against Property for residential, commercial property or land etc. It's a secured loan i.e. in case of loan default; bank can take over the property and use it to recover loan dues. However the ownership of the property stays with you throughout the whole tenure. You can normally use or rent out the property, in case of loan against commercial property. In case of joint ownership all co-owners need to be co-applicants in the loan. 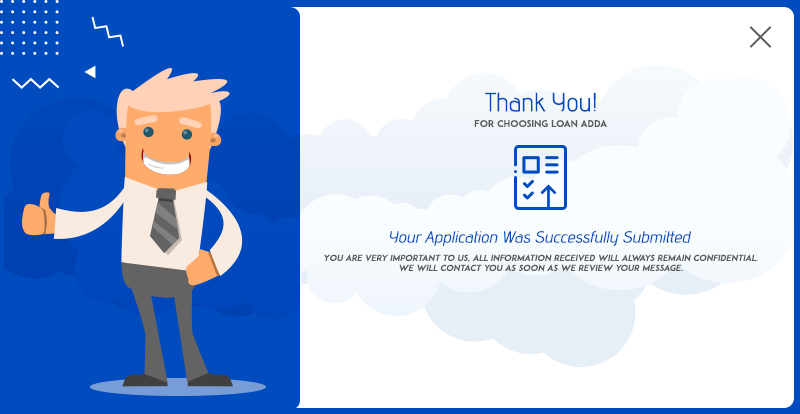 The illustration below indicates what to expect at every step during the loan evaluation process. It helps understand how the credit decisioning works in banks and the steps they take before deciding to accept or reject a loan/ credit card. Fill in the Loan Against property Application Form, to check your eligibility. Compare various Loan Against property loan options, and apply for the suitable option. Get an instant e-approval, after successful submission of the application. Income- must be a salaried or self employed individual with a stable income source. Age- must be between 24-60 years.